Always Driving is a professional Driving School with a full Driving Lesson and Intensive courses. Always Driving are here to make driving lessons more affordable but at the same time providing high quality lessons. We make our lessons affordable so you can keep on learning right to the end. 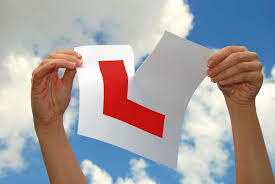 Always Driving instructors provide expert driving lessons with patience and professionalism. Always Driving provide free support before and after you have passed your driving test. Ready For Your Theory Driving Test? Before you can book your practical test, you first need to pass your theory. The theory test consists of two parts, a multiple-choice questions section and the hazard perception video section. We hope that with our help, you’ll be able to pass your theory test first time round. The UK Practical Driving Test is the basic measure of driver competence in the UK. East London Driving School for driving lessons in Waltham Forest, Chingford, Walthamstow, Hackney, Tower Hamlets, Newham, Beckton,Bethnal Green. North London Driving School for driving lessons in Southgate, Tottenham, Haringey, Hornsey, Finchley, East Barnet, Totteridge, Islington, Hackney, Stoke Newington.